Unfortunately, Adam Sandler doesn’t have a song for Rosh Hashanah, so I thought I’d tell you that I’ll be putting on my yarmulke and wishing my friends Monica and Veronica a very happy new year (the holiday starts tonight at sundown). Paul Shaffer is just one person who celebrates Rosh Hashanah, and if you do too, then allow me to wish you a L’Shana Tovah as well. May it be a good, sweet year for all of us. It’s been a long, busy week, but I didn’t want to leave for the weekend without posting something new. 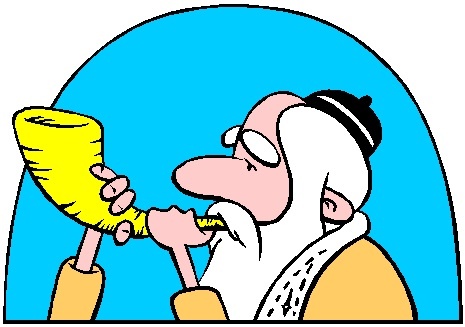 So I’ll say to all my fellow members of the tribe, L’Shana Tovah — which, for the rest of you, means Happy New Year (it’s Rosh Hashannahthis weekend). Alright, not really. This is yet another example of “Fun with Photoshop,” courtesy of the blog One Smoot Short of a Bridge, and I was feeling dorky enough to share it with y’all.